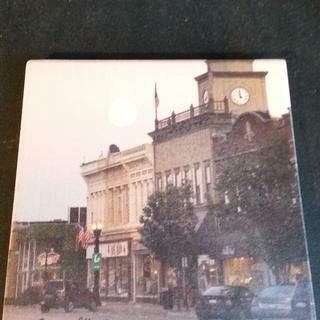 A highly popular and effective promotional business product, custom absorbent stoneware coasters have been a huge success the last few years. Appreciate the edge-to-edge full color printing on these square coasters. Does it have a cork back? BEST ANSWER: Hello Alex! Thanks for the question. So yes this item does have a cork backing. Hope that helps! If you have other questions feel free to jump on out live chat. 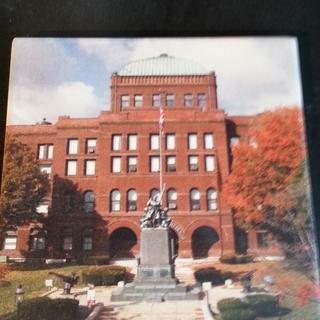 Had some of our archived photos used for coasters to sell in our Museum Gift Shop. They turned out great! Like that the photo was bled to the edges.